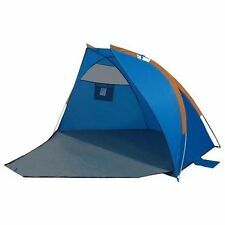 Type: 2-3 Persons Tent. Tent Material: 190T Polyester. The shelter is made of 190T polyester fabric, which proves the perfect combination of weight, carry size, and protection. 1 x Tent (with wind ropes). ODOLAND Large Size 3-Person Camping Tent is designed for anyone loves outdoor camping, hiking, fishing and other activities. With a tent fly and double-polyester on tent floor, it is much more waterproof than most tents in the market. This Ozark Trail camping tent features a spacious interior and has plenty of ventilation. Two queen-sized air mattresses will fit inside the 6-person camping tent. This unit connects securely to the canopy legs. Trending at $73.27eBay determines this price through a machine learned model of the product's sale prices within the last 90 days. Make your outdoor adventure a memorable one by bringing along the Wakeman Outdoors Beach Tent. This sun shelter boasts a UV protection rating of UPF 50 and features water repellent material making it ideal for tailgating, outdoor sports, a day at the beach, and more! The lightweight sun shelter also includes a carrying case to make storage and transport a breeze. With easy set,up, this tent eliminates the hassle of pitching a tent and keeps your time spent experiencing sporting events or the outdoors. The automatic folding tent contains 3-4 persons while you are outside with your family for traveling, camping and hiking. Its design of two-door ventilation, double zipper, skylights and roof piece is suitable forpicnic, fishing, water, wild born, etc. Central hub and tent pole system allow for quick and easy set-up and takedown. Can't find the answer you're looking for?. You can expect our service to be friendly and professional. Low low Prices, all year round. 1 x Tent (Including all the accessories). Closed roof for added protection. Waterproof polyester. Material190T Polyester Cloth PU3000. Non-bottom design for keeping a clean room. Large zippered door for convenient access. 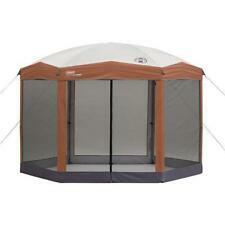 Ozark Trail 13 x 9 Foot Large Roof Screen House. Spacious interior fits over most national park benches. Durable steel support poles and fiberglass pole roof. Easily sets up with color coded poles and plastic hubs. Sport-Brella Super-Brella SPF 50 Sun and Rain Canopy Umbrella for Beach and Sports Events (8-Foot, Blue). LARGE CANOPY W/ WINDOWS. The side zippered windows are for easy airflow and visibility. The 8 foot Super-Brella provides easy, maximum protection to keep you sheltered from the sun, wind, and rain. The Ozark Trail Instant Sun Shade is great for the beach, picnic or sporting event! The sun shade sets up or tears down in under 30 seconds with pre-attached poles. New Ozark Trail 8' x 8' Instant Sun Shade WMT-8859N. RUGGED COVER AND DURABLE CONNECTOR. The universal, heavy duty clamp will ensure a secure hold on your golf bag, stroller, beach chair, or even a set of bleachers. EASY TRANSPORT FOR EASY PROTECTION. 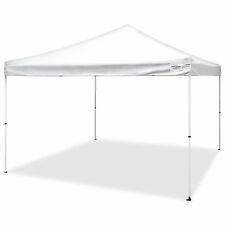 6' x 6' Beach & Sports Cabana Beach Tent Canopy Umbrella Outdoor Sunshade Shelter Large Shade Area. Strong and durable - Open size is 36 square feet, 7.6' to roof peak, 6' from ground to valance. Closed Size is 58" X 5" X 5". Front and back magnetic doors provide easy and hands-free entry and exit with it's automatic closure design. Easy to set up, take down, and clean up, this screen house arrives with a convenient storage bag for simple transportation. Trending at $24.93eBay determines this price through a machine learned model of the product's sale prices within the last 90 days. Best Choice Products 10x10ft Outdoor Portable Adjustable Instant Pop Up Gazebo Canopy Tent w/ Carrying Bag Orange. BCP SKU: SKY3736. Enjoy convenient shade for all your parties and events! Included carrying bag with handles makes it easy to transport. Type：Double layer tent. Outer tent waterproof coefficient: more than 3000MM. Bottom tent waterproof coefficient: greater than 3000MM. Ideal for camping and outdoor activities. Full coverage fly sheets are polyester coated for waterproof protection. Enjoy the great outdoors while remaining almost totally protected from the sun's harmful UV rays with the Tripod Shelter. 1 X Shelter. Material: Fiberglass Poles 210T polyester cloth, water pressure resistance 3000mm. 1 x Tent Tarp. - Rain Tarp is easy to set up, and dry quickly! -1x Storage Bag For Tarp. -6x Tent Pegs. -Main Material: 210T polyester taffeta painted silver. -Does the rain or snow break your cooking?. Tent is a practical item for daily use, widely seen in the outdoor activities such as camping or picnic. If you happen to need a tent for own use, this 3 x 3m Two Windows Two Doors Practical Waterproof Folding Tent may be a great choice. The Ozark Trail Instant Sun Shade is great for the beach, picnic or sporting event! The sun shade sets up or tears down in under 30 seconds with pre-attached poles. 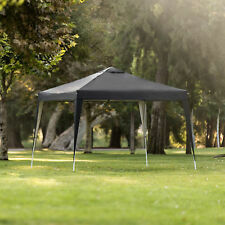 Ozark Trail 8' X 8' Instant Sun Shade (64 Sq.ft Coverage). 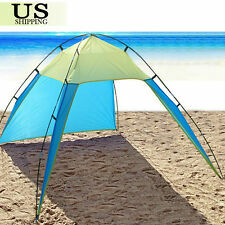 Outdoor Shade Shelter Beach Canopy Camping Hiking Family Tent Portable Picnic. 1 X Shelter. truck-mounted concrete pump,line pump,Truck Mixer. Material Handler,Jib Crane,Empty Container Handler,Forklift Truck,Reach Stacker.